Looking for a Used Soul in your area? CarGurus has 28,351 nationwide Soul listings starting at $2,799. People who shy away from the Kia Soul because of preconceived notions are missing out on a pretty terrific little thingamabob on wheels. With few exceptions, the 2015 Kia Soul provides everything the average person might need, along with surprise-and-delight upgrades he or she might want. More power would be nice, as well as additional trunk space and a couple of extra safety features, but these ultimately represent nitpicks against what is a terrific car brimming with personality, loaded with value, and equipped with the technology, safety ratings, and quality scores that help the Soul ascend from good to great. More than a decade ago, I attended the Tokyo Motor Show for the first time and was befuddled by the numerous displays featuring these funky, boxy vehicles that looked like someone took a shrink gun to a U-Haul truck and then pressed it through the kawaii machine. “They’d never make it in America,” I mused, pretty much writing them off as novelties. Boy, was I wrong. Since then, these vehicles have washed ashore in the guise of the Honda Element and the Scion xB. The most popular of these appears to be the Kia Soul, which unapologetically celebrates its weirdness with unusual trim-naming schemes, eye-bugging colors, and rapping hamsters in its advertising campaigns. While I can’t say that my fragile ego can handle driving something so far-out on a regular basis, no one can deny that the Kia Soul is a useful tool for daily living, exuberant and brimming with personality. No one will razz you for driving a Toyota Camry, but no one will notice you, either. And people who shy away from the Kia Soul because of preconceived notions are missing out on a pretty terrific thingamabob on wheels. My test vehicle for the week was a Kia Soul ! (yes, that exclamation point represents the trim level), painted Alien 2 (green) and equipped with every option possible, thanks to the Whole Shabang Package. That option group includes leather seats, a panoramic sunroof, an 8-inch touchscreen infotainment display with Kia UVO eServices technology and navigation, and an upgraded Infinity premium audio system with lighting around the door speakers that pulses with the beat. This version of the Soul also has LED interior lighting, HID headlights, LED running lights, Supervision gauges, Smart Key entry with push-button engine start, a heated steering wheel, heated front and rear seats, and ventilated front seats. The price difference between this fully loaded version at $26,835 (including the $825 destination charge) and a stripped-down, basic Soul (sounds worthy of a country music song) is more than $10,000. However, there's no denying that a loaded Soul includes an impressive list of features. While Alien 2 paint might not be my first choice, it definitely makes this car hard to ignore. Exuding personality, the Soul is larger than you might surmise, both inside and out. The interior is more conventional than the exterior, and with leather upholstery and all the upgrades, it looks and feels downright luxurious. You can even get premium Nappa leather as an option. A Kia Soul might not be designed to everyone’s preferences, but I’d rather drive something with personality than without. The Soul’s styling certainly goes a long way toward making it lovable, even if you’re a big, burly cop. Please, Kia, slap a turbocharger on this Soul. While the 164-hp, 2.0-liter 4-cylinder engine delivers an enjoyable zippiness around town and chugs up inclines with little trouble, a little extra kick in the pants, perhaps in the form of the turbocharged 1.6-liter offered in the Kia Forte5 hatchback, would really enhance driving pleasure. Linked to a 6-speed automatic transmission that powered the front wheels, the Soul was a hoot to drive in the city, its tight turning radius fostering pirouettes into tight parking spots and the suspension tuned to soak up ruts and bumps at the same time it delivered detail about surface texture. Nimble at rush hour, the Soul darts through holes in traffic with as much spirit as the engine can muster. Although the Soul’s suspension is rather rudimentary, with MacPherson struts in front and a simple torsion beam rear axle, it was enjoyable to drive on the 2-lane roads threading the mountain range that separates my house from the ocean. Although it doesn’t beg to be slung into a corner, the Soul remains composed in spite of its relatively tall center of gravity and stubby wheelbase. Certainly, my test car’s 18-inch wheels and tires helped in terms of stick, and a full set of 4 disc brakes helps to ensure smooth, steady stops every time. The electric steering, complete with three different settings (Comfort, Normal, and Sport), provided a fair amount of heft and precision in Normal mode, feeling a little loose in Comfort and rather unnatural in Sport. As far as fuel economy is concerned, I averaged 24.6 mpg in combined driving, right between the EPA’s official estimates of 23 mpg in the city and 31 mpg on the highway, and despite using the Soul’s Active Eco driving mode much of the time. That’s not terrible, but not that great for what most people perceive to be a small, economical vehicle. Just keep this in mind: The Soul isn’t really small, and it’s just an optional all-wheel-drive system away from joining the ranks of the mini-SUV class and going head-to-head with vehicles like the Chevrolet Trax, Jeep Renegade, MINI Countryman, Nissan Juke, and more. 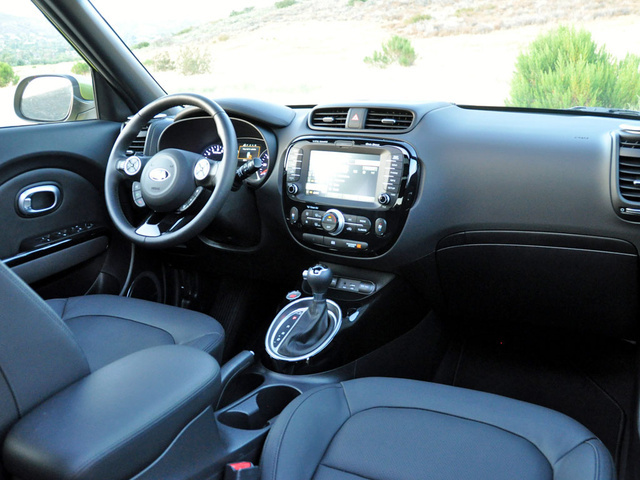 Based as it is on humble beginnings, a loaded Kia Soul’s vast number of entertainment and comfort features is remarkable, and the level of quality displayed by the cabin is, frankly, stunning. Sturdily composed and fitted materials and panels, smooth and supple leather seating, and pleasantly upscale design details stand in contrast to the pulsing speaker lights and tweeter speaker towers rising from each corner of the dashboard. 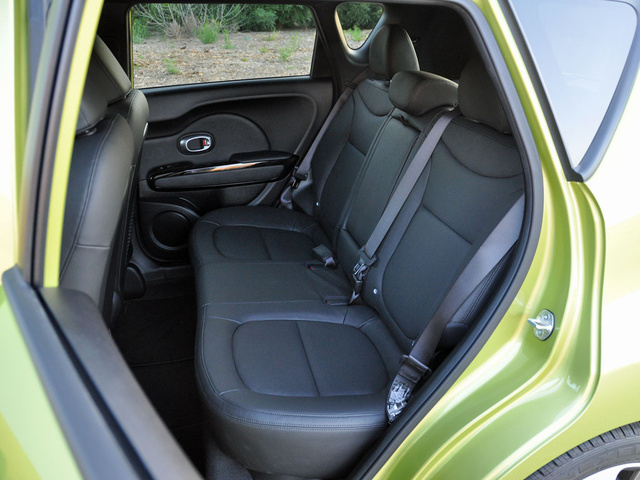 In terms of passenger space, the Soul is roomy, too, providing more than enough real estate for a family of four. 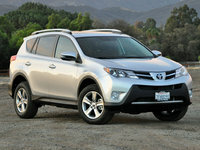 Accessing the interior reveals another sense of the Soul’s quality; the doors sound and feel bank-vault solid when used. 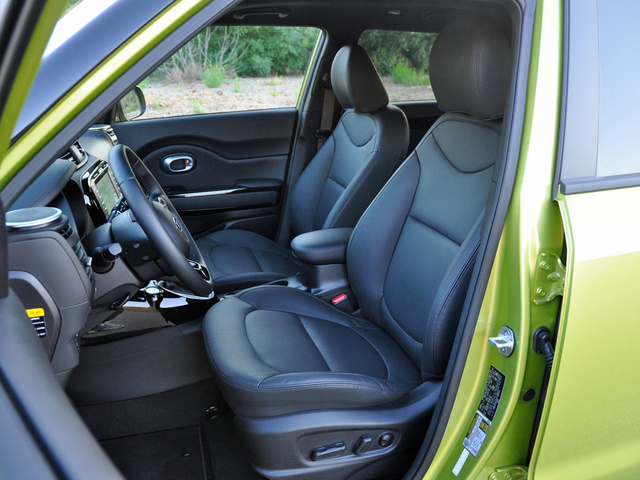 Up front, both my husband and I were able to find an ideal driving position, and while the front passenger’s seat lacks height adjustment, it sits high enough off the floor to make this omission a non-issue. In my test car, both front seats were heated and ventilated, and the steering wheel was also heated. That’s impressive. Outward visibility is terrific, too. You sit up high in a Soul, and the large windows combined with thin pillars provide a panoramic view of the surroundings. Where the Soul stumbles a bit is with regard to how cargo space is configured. The numbers are reasonable, but in reality, with the rear seats in use, the cargo cover in place, and the compartmentalized bin beneath the cargo floor installed (handy for hauling home groceries, for example), the Soul’s trunk is small. Remove the bin, ditch the cargo cover, and pack to the roof, and the Soul has 24.2 cubic feet of space behind the rear seat, expandable to as much as 61.3 cubic feet. During my week with the Soul, I needed to head into Hollywood from the Los Angeles suburbs. Thanks to the optional full-length panoramic sunroof and airy greenhouse, my family cruised through the Hollywood and Highland intersection after dark, windows open, enjoying the lights and the spectacle with the gentle breeze tousling our hair as though we were in a convertible. 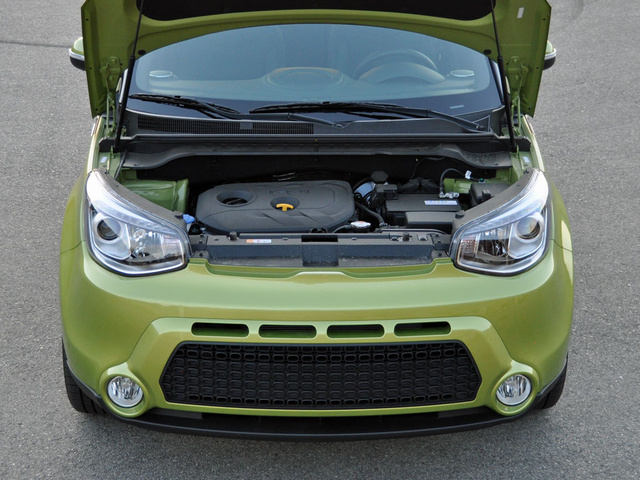 This is just one more reason to love a Kia Soul. A wide swath of music is accessible through an internal flash drive, a USB port, or by streaming Bluetooth audio or Pandora Internet radio. Syncing a smartphone to the subscription-free UVO eServices technology gives you access to features like a parking minder that marks where you’ve left your Soul, as well as 911 Connect with Crash Notification service, which automatically alerts authorities if the Soul has been involved in a collision. Households with teenage drivers will appreciate new-for-2015 features including Speed Alert, Curfew Alert, Geo Fence geographic boundary alerts, and a Driving Score report. 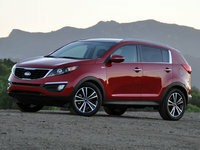 Kia has also upgraded UVO eServices with Siri Eyes Free technology this year, and has added Google Local Search capability. The navigation system features My POI, an app that works with Google Maps and allows you to remotely choose a destination and send it to the car for a future trip. Clearly, in terms of infotainment technology, Kia has the bases covered. In the previous section, I mentioned the Soul’s available 911 Connect technology, which is a part of the UVO eServices system. Unlike similar features in competing models, 911 Connect is free to the Soul’s owner for the first 10 years or 100,000 miles of ownership. However, it works only if a paired smartphone is aboard the vehicle at the time of a collision. Essentially, 911 Connect uses the paired smartphone to call emergency responders. It can be manually activated, or the Crash Notification feature automatically activates the service when the Soul’s airbags have deployed. The emergency responder can then send help to the car’s location, even if the driver and passengers are unable to respond via the Bluetooth system. New Speed Alert, Curfew Alert, Geo Fence, and Driving Score features make a Kia Soul perfect for teenage drivers, assisting parents in keeping their kids safe. Unfortunately, with the exception of a reversing camera, the Soul is unavailable with modern active safety features, including one that I believe is especially useful: blind-spot monitoring with cross-traffic alert. Kia has active safety tech within its overall component set and ought to quickly address its omission from the Soul’s optional equipment menu. Still, you can rest assured knowing that Kia built the Soul to protect its passengers in a collision. The National Highway Traffic Safety Administration gives the Soul an overall crash-protection rating of 5 stars, while the Insurance Institute for Highway Safety deems the Soul a Top Safety Pick with a Good rating in its tough small overlap, frontal-impact test. For the sake of argument, let’s say you’ve come to realize that the Kia Soul is more of a crossover SUV than it is an economical hatchback (which it is, except for the lack of an AWD option). Now, review the list of features included in my test model. Suddenly, the value equation improves, despite that middling fuel-economy result, doesn’t it? Now, consider that the Soul just earned an award for quality from J.D. Power. Check out how J.D. 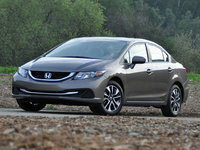 Power and Consumer Reports think it will be dependable over time and inexpensive to own. Industry-leading warranty and roadside assistance programs aside, the Soul gets a 4-star depreciation rating from ALG, meaning it ought to hold its value over time. And let’s not forget that UVO eServices is free and does not require an extra-cost subscription. Convinced that a Soul is a bargain yet? As I write this, Kia is offering a $500 rebate, and while that’s not remarkable, it also means you should pay no more than invoice before applying the $500 to the deal. Better still might be the offer for zero-interest financing for 66 months, which means you could get a loaded Soul like my test car for about $380 per month with nothing but the lint in your pocket as a down payment. As far as my advice is concerned, if you’re considering a Kia Soul, I say: “Go for it!” This is a fantastic car. 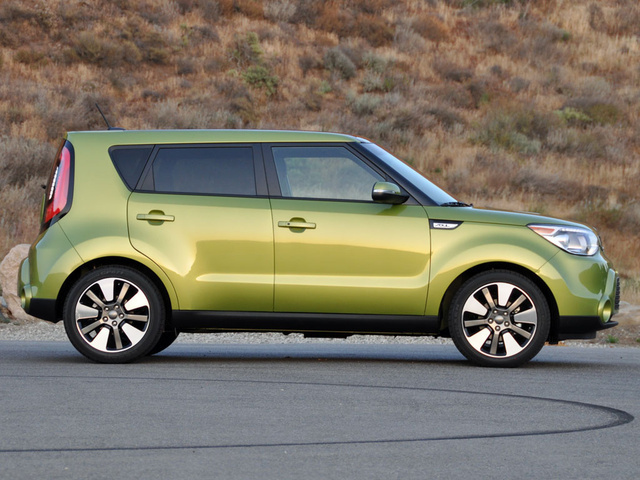 What's your take on the 2015 Kia Soul? 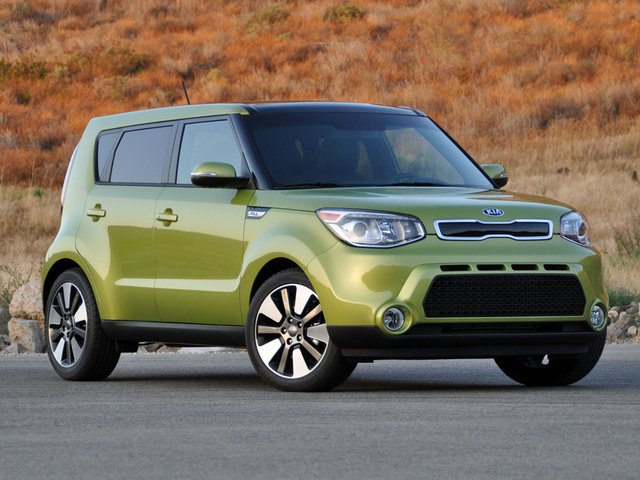 Gregoree Personal impressions after one year of ownership summary: Bottom line, the 2014 KIA SOUL (2015 SOUL is identical) is at best an average vehicle because it has truly lost some SOUL compared to earlier iterations that should have been refined and improved. Improving actual performance (e.g., fuel efficiency, handling, and power) is more important than marginally improved electronic gimmicks and gadgetry - stereos and blue-tooth really don't need much tinkering currently. Overall, the KIA Soul is an average vehicle whose low price benefit quickly diminishes when purchasing anything above a stripped down base model. Personal initial impressions of this vehicle were good, but in a short amount of time, issues with the blower motor (electrical whine), excess wind noise, poor performance, and interior deficiencies became apparent after only two weeks of real-world driving ownership. Firstly, the automatic transmission is too soft as it hesitates and loses power when shifting from 2nd to 3rd and 3rd to 4th under normal acceleration. 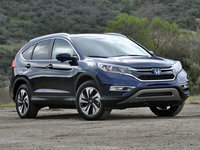 While the vehicle is rated at 164 horsepower and 151 lb. ft. torque, acceleration is surprisingly strained and underwhelming, suggesting rated numbers are likely inflated (as is fuel efficiency unless vehicle is driven very mildly). Steering is vague, and although there are three different electronic steering options, being comfort, normal, and sport, selections only result in steering wheel weight change while there is no difference in actual steering responsiveness. Brakes are OK, but braking feel is vague and not linear. At highway speeds, especially between 50 and 70mph, wind noise/wind turbulence is very pronounced along the driver-side window area; surprisingly, this noise, reportedly normal, is not exhibited along the passenger-side window area. Overall cabin room/space is good although visibility is poor given larger pillars obscuring views. The 2014 2.0L auto boasts 22 more horsepower and 2 more gears than the 2010, but the new 2014 model MPG is no better real world than the 4 speed, lesser powered 2010 model. 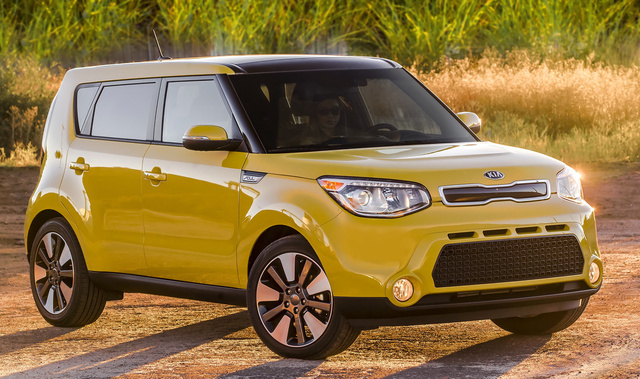 Users ranked 2015 Kia Soul against other cars which they drove/owned. Each ranking was based on 9 categories. Here is the summary of top rankings. 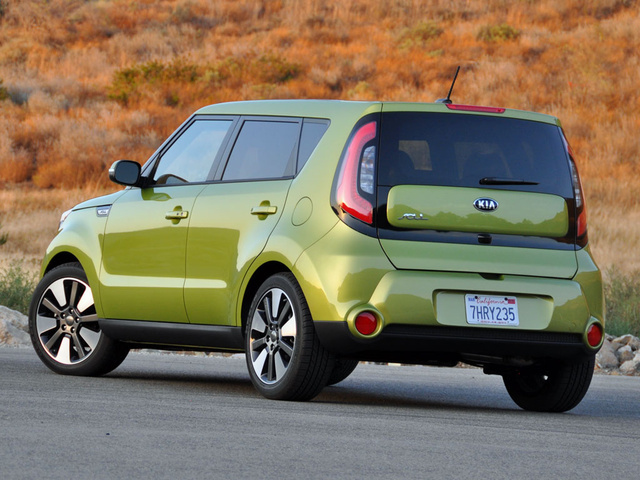 Have you driven a 2015 Kia Soul? I have a 2015 kia soul. sometimes while driving it feels as if the car is not getting gas. I think it backfired a few times while I was driving today. What could this be? My Kia Soul the fan will not blow on speeds 1,2,3 but on 4 will still work. Why are the other 3 speeds not working?